Adding an alfresco or deck to your home can provide a functional and aesthetic space for entertaining guests or for other outdoor pursuits, and add considerable value to your property. 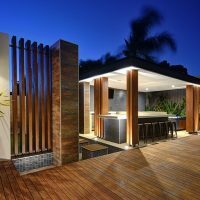 R U Developments has over 30 years’ experience in building alfrescos and decks for homes all throughout the Perth metropolitan area. Bring the outdoors in and open up your entertaining space to create a seamless transition from your home to a new alfresco. 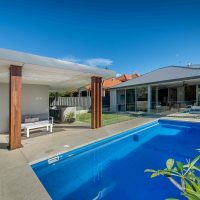 From deck additions to full featured alfrescos that can include a pizza oven, BBQ, pool room, spa, and kitchenette, R U Developments can give your outdoor living area a minor or complete makeover using contemporary or modern designs, materials and finishes. Bring your design to us or work with our designers to create that luxurious sanctuary you have always dreamed of. Want to kick start your project? 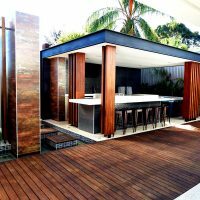 Email or call us today to discuss how R U Developments can upgrade the outdoor living area of your home with a beautiful alfresco or deck addition.